Condolences from all at Cricket Shropshire to the family and friends of former Chairman and President John Bennett. 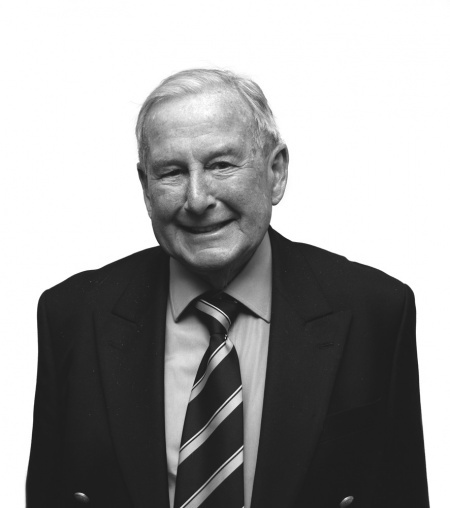 John was the first Chairman of Shropshire Cricket Board when it was set up in the late 1990s and went on to become President when he stepped down from that role. He was a familiar figure within the cricketing family in Shropshire and made an immense contribution as a player, administrator, leader and supporter of the game in the county. He played his cricket at Montgomery and for many years at Wroxeter, where he was the President, and before taking up his role with Shropshire Cricket Board he was Chairman of Shropshire County Cricket Club. In 2017, Shropshire Gents CC staged a special game at Shrewsbury School against Shropshire CCC’s Development squad to mark John’s 90th birthday and celebrate his contribution to the game in Shropshire. “He was instrumental in the setting up of Shropshire Cricket Board back in the 1990s and an important figure in the game in the county over many years. Funeral details will be announced at a later date.